This is the debut full-length album from Farewell Continental, expanding on their shoegaze, 90?s-styled indie rock first introduced to listeners on their two previous EPs for Paper + Plastick. 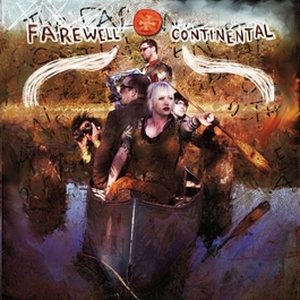 Due to the band?s busy schedule and other commitments, Farewell Continental recorded the album in three separate sessions with producer Ed Ackerson (Polara, Golden Smog, Jayhawks) at Flowers Studio in Uptown Minneapolis, MN. The band?s ever changing musical taste is reflected in the album, which varies from jangly tunes to downtempo shoegaze tracks, and power-pop songs to straightforward rockers.